Natural Balance Printable Coupon $2 OFF a Bag or Case of Cans! 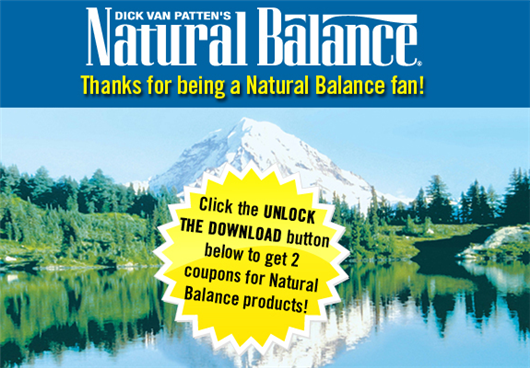 If you’re looking for Natural Balance coupons, be sure to LIKE them on Facebook! Each month, they thank their loyal fans and followers with printable pet food coupons and deals. This month, you can snag a Natural Balance printable coupon for $2 OFF any bag 12.5 lbs or larger, or $2 Off a case of canned dog food or cat food. There’s also a Natural Balance coupon for 50¢ Off a food roll or bag of dog treats. Check back as coupons change monthly. New Printable Fancy Feast and Purina Cat Food Coupons! 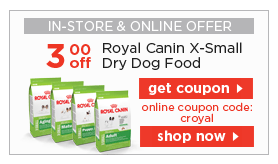 Purina Pro Plan Pet Food Coupons: $3 Off Dry Dog Food and Cat Food + BOGO on Cans! Visit the Purina Pet Food Coupons and Offers page for current dog food coupons and cat food coupons including $3 Off Purina Pro Plan Dry Dog Food, $3 Off Pro Plan Cat Food, Buy One Get One Free on Purina Pro Plan Wet Dog Food and Cat Food cans (up to $1.79 free)! FREE Can of Wellness Cat Food with Petco Printable Coupon! 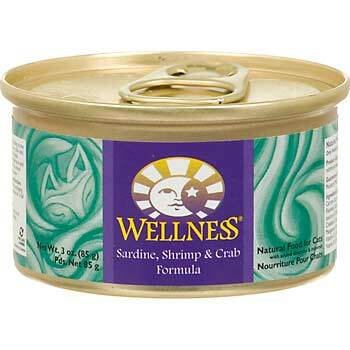 Score a FREE can of Wellness Cat Food with this printable pet coupon from Petco! The coupon is good for one FREE 3 oz. can of Wellness Cubed, Sliced or Minced Cat Food thru 6/30/12!